Sanam Teri Kasam is in essence a typical love story. Two lovers, have to pass insurmountable odds and fight the world to be together again. The plot is basically a rehash of all the love stories that have been seen in the past though credit must be given to the two newcomers who deliver stellar performances to keep you engaged. But more on that later. The film begin in the usual way with Inder, played by Harshvardhan Rane crosses paths with Saraswati, played by the gorgeous Mawra Hocane. Sparks fly immediately between the “bad boy” Inder and the “good girl” Saru. Boy wants girl, family does not want them together and thus begins the tale of overcoming odds. In the clichéd way of Bollywood, the girl is from a conservative family which will not let her marry as per her wishes and this acts as the major conflict in the movie. On the other hand, Inder is introduced as an enigmatic character shrouded in mystery and is the exact opposite of the kind of boy her family is looking for. So from there on the story progresses from drama to melodrama, where Saru has to weep buckets and Inder just has to look serious throughout. Saru’s father tries to find a boy for her who is well settled in life, her younger sister is hell bent on seeing her mother has precious little to do throughout the film except cry. Rane’s character is underdeveloped and most of his story doesn’t come off as being fully genuine. Even though the script is a let down, both Mawra Hocane and Rane shine through in their parts. The chemistry between them is palpable and there are moments in the film where you connect with them completely. The supporting cast though is nothing more than caricature and stereotype and it is unfortunate how bad the writing is for the South Indian characters as well as the women. The music though is another redeeming factor for the film and plays well throughout. Some of the songs are very well made and will stay with you as you leave the hall. However, overall, Sanam Teri Kasam is a hugely disappointing watch, saved to an extent only by the music and the performance of its leads. 155 minutes of pure melodrama is too hard to watch and the over the top writing makes it an ordeal to sit through. 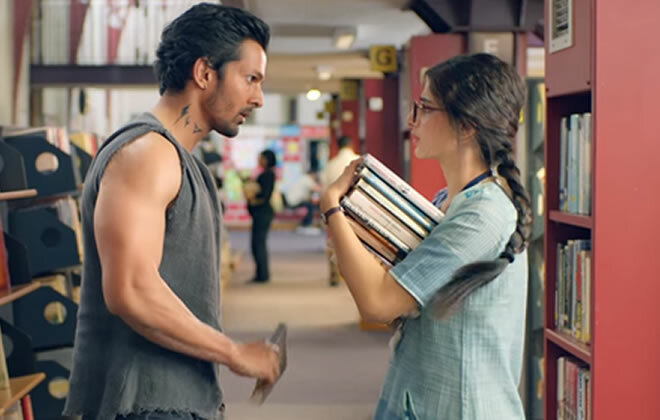 A few decades back, the movie may have connected with audiences but with films getting smarter and closer to reality now, Sanam Teri Kasam fails to deliver. One really hopes though that both Rane and Hocane get a better film to work in as they show plenty of potential throughout the film. While this may not be the ideal launch pad for the two, there’s only hope that they will be seen in a better film soon. Sanam Teri Kasam though, does not come recommended.